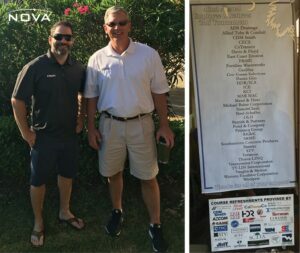 Tom Hruby, NOVA Kennesaw, and Allan Iosue, Pond and Company, hit a few golf balls at the South Carolina Department of Transportation’s 42nd Annual Employee and Retiree Golf Tournament. Hoping to take 1st place next time. NOVA gladly sponsored the course refreshments for this event.